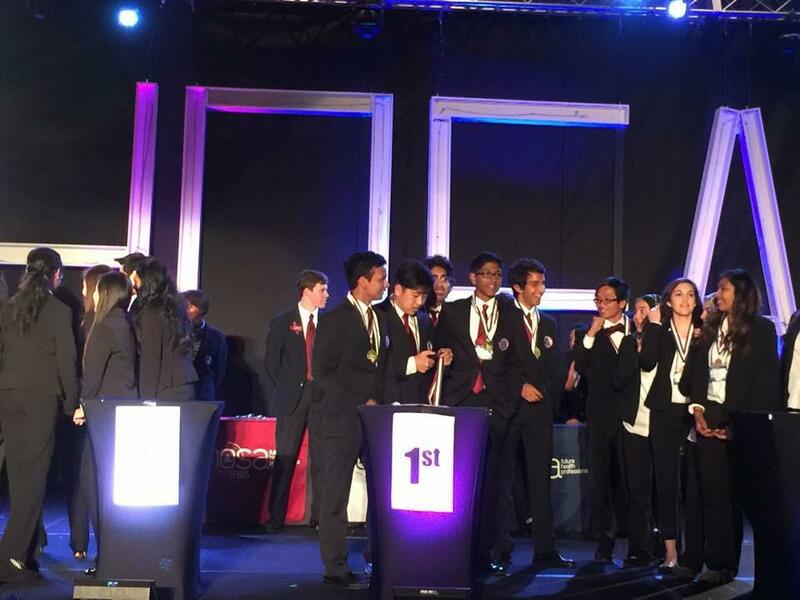 Although Dallas may seem to close to home for a competition, the city did not disappoint when the Coppell High School Health Occupations Students Association (HOSA) club took part in the state competition on April 9-11. With over 3,000 students competing, advancing to the national competition was not an easy achievement for the Coppell competitors. Dhakal and his team’s event was Public Service Announcement, where his team had to make a 30 second video of this year’s topic, Concussions: Recognition, Prevention and Treatment. At regionals, Dhakal’s team placed second out of 40 teams and competed against 21 teams during state. 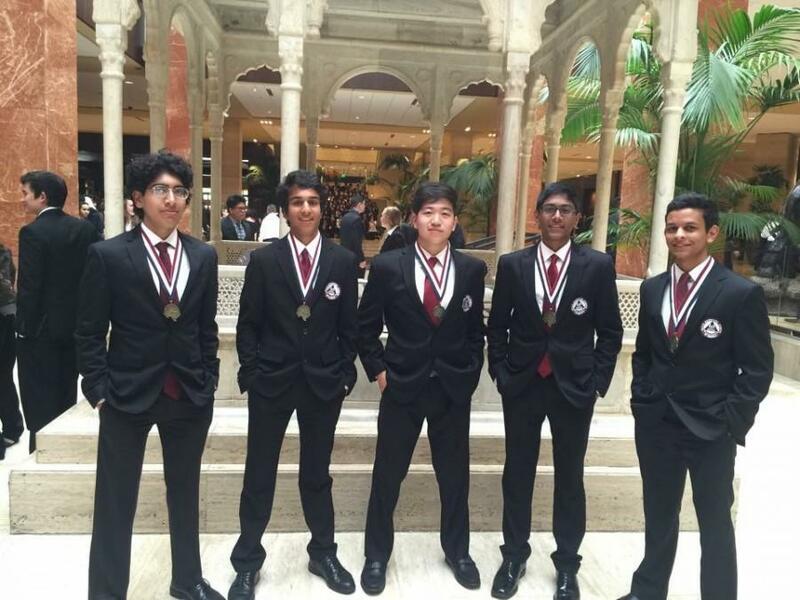 Juniors Asutosh Dhakal, Eugene Han, Dheeraj Nuthakki, Vinayak Sahal and Haris Rafiq win first place at the HOSA state competition. Photo courtesy Asutosh Dhakal. Han and Dhakal found the state competition to be very enjoyable especially during the “Hip Hop – Hooray event,” an event where students got the chance to dance, sing and have a great time. The teams that advance to nationals consist of Public Service Announcement and Community Awareness, which adds to a total of 10 students. “ I am so proud of CHS HOSA’s success this year,” HOSA Sponsor Debra Johnson said. 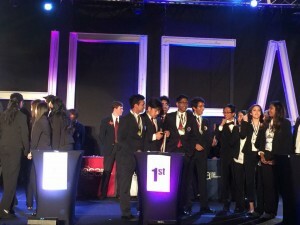 Johnson said that she is excited for the CHS HOSA Officer team of Sheetal Hariharakumar, Hriju Adhikari, Vinootna Kantety, Nikita Nasta, Sanjuktha Pendyala Sravika Kayithi, Meghna Suresh and Ari Randell advancing to National and representing the members in competing for Outstanding HOSA Chapter. Kanety participated in Creative Problem Solving where her team was given a problem concerning health issues in the world today. Since Kanety did not advance with her team event, she decided to also participate in the Outstanding HOSA Chapter, an event where the team is asked to make a scrapbook before competition to represent Coppell’s chapter. Nationals will be held on June 23-28 in Anaheim, Calif. where students will not only compete, but also enjoy visiting Disneyland and Universal Studios.